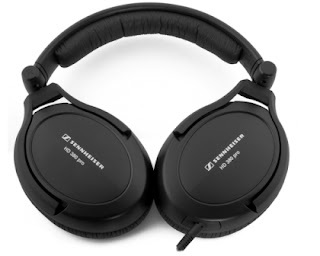 I have used Sennheiser HD 280 Pro headphones for the past few years, and they are really very wonderful. But, I recently had the opportunity to try out a pair of HD 380 Pro cans, and if you know anything about their products, as the model number becomes higher the phones become more wonderful (and expensive). Well, if you are going to spend twice the money you will want to notice a difference, and you will. The HD 380 Pro is a bit of an odd duck, as they are marketed as professional studio headphones, but they are slightly smaller than full-size and they fold up fairly compactly. This means that they are great for guys who are on the road and do not want to put up with the discomfort of in-ear monitors or crummy sound noise cancelling headphones. Plus they kick the living crap out of Beats while looking relatively normal. Physically, they are around-the-ear closed-back phones, and weigh in at a sprightly ½ pound. They are nicely padded (replaceable earpads!) and adjustable, and are comfortable enough to wear for long periods of time but not so loose that they slip off. They include a replaceable coiled-type cord that stretches out to about 10 feet long. They come with a screw-on adapter so they can be plugged into ¼-inch or 1/8-inch jacks. As I said earlier they fold up, and the end product is fairly flat and compact. A nice zippered carry case is included. The specifications provided by Sennheiser for the HD 380 Pros have no surprises. They have neodymium magnets and frequency response is supposed to be 8 to 27,000 Hz, with a total harmonic distortion is less than 0.1% (1kHz, 100dB SPL). These headphones can provide up to 32 dB of attenuation, which combined with a reasonable 54 Ω of resistance means that they can play loudly enough (with enough isolation) that they do not necessarily need a headphone amplifier when used with an iPod. I tested these headphones with a variety of audio sources, including my home stereo, my iPods and iPad and directly from my laptop. I played the music with and without headphone amplifiers (solid state and tube type), and with my usual assortment of music. 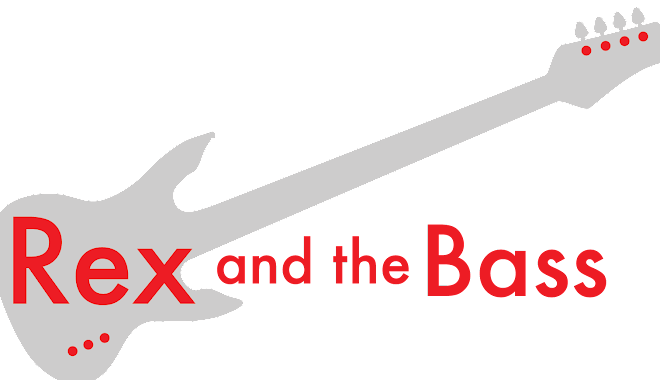 This includes mostly rock and blues, with a little country, classical and show tunes thrown in for good measure. And these headphones perform very well. They are very sensitive and crisp with no distortion at all normal volume levels. The highs are clear, and do not seem to have any unnatural elements to it. The mid ranges are definitely boosted, mostly in the upper mids. This is not distracting, and I like the effect for rock and blues music. The bass is crisp and powerful, but is still well-balanced with the mids and highs. 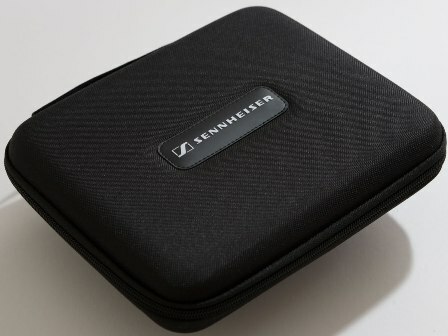 In the real world, they sound great and provide perfect isolation (and no leakage) on airplanes and when working in crowded and/or noisy rooms. For my purposes, this more than makes up for any sound imperfections that come about from having closed-back cans. 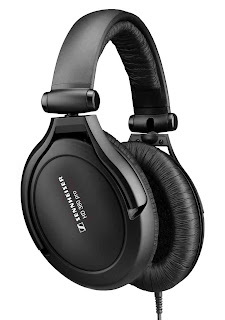 I like them a lot, but am too cheap to pony up for a pair of my own and will have to make do with my old headphones, which are still very good. If audio perfection is your quest and you only have two hundred bucks to spend, these are probably your best value because there is enough difference in sound over the HD 280 Pro headphones to justify the extra cash. The HD Sennheiser 380 Pro headphones have a list price of $299.95 and a street price of $199.95, which includes a factory two-year warranty.